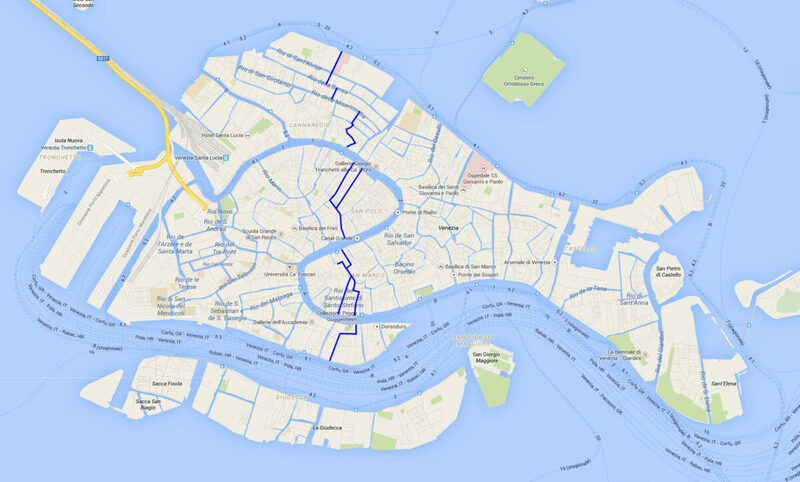 Ever since the fatal accident in August 2013 there has been a lot of debates about what to do to make boat traffic safer in Venice. There has been little change in the year and a half since the accident. All changes have been blocked or sabotaged by the various vested interests in the city: the taxi cooperatives, the transporters, the gondolieri and the city administration itself, through the public transport company ACTV. In short, nobody has wanted to give any concessions to make the city’s waterways safer for everybody. Traffic today is more chaotic than ever. Change is on the way, it seems. Articles in local papers refer to new regulations, which has not, however, been published on the city web site. The new rules would (it seems) prohibit the passage of kayaks, canoes, SUPs, water cycles, dragon boats, yole and even some types of traditional Venetian boats (‘sandolini’), in the Grand Canal and about a dozen of other unspecified city canals. 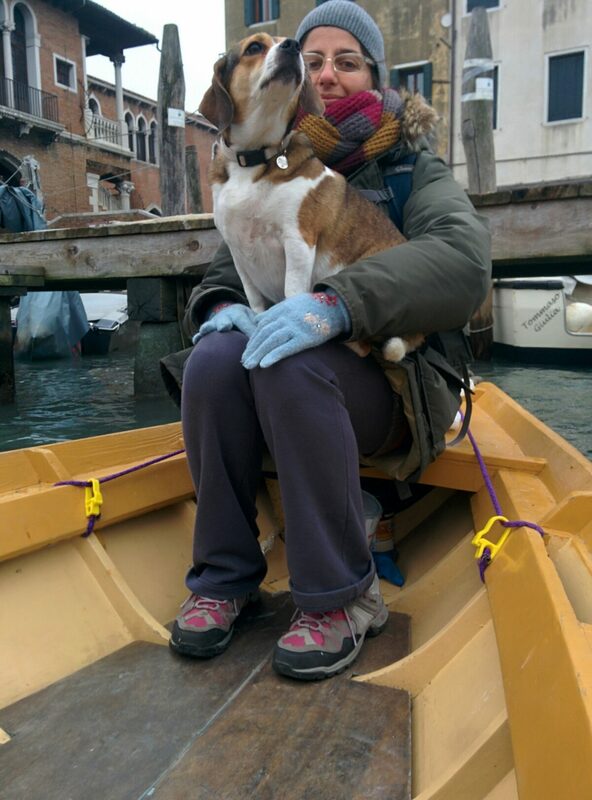 Already published changes include limitations of the movement of all kinds of rowing boats on the Grand Canal, including the traditional Venetian boats from the local rowing clubs. 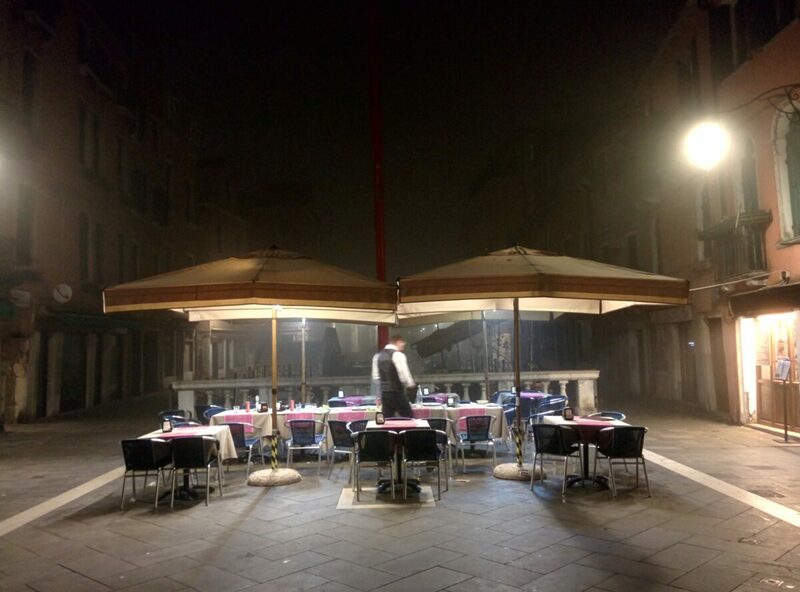 Venice is selling its soul for short term profit. Now, how come such draconian changes come just now? The thing is that Venice has no elected city administration. The former mayor fell on a corruption charge, and the entire city council sent in their resignation. Without a city council, the city is governed by a state appointed official until the next local elections in May this year. The city is therefore run by people who have no knowledge of local affairs and traditions, and it seems they just try to manage by finding compromises acceptable to the most powerful lobbies. When changing the rules, the city administrators have heard the taxi cooperatives, the transporters and the gondolieri, but they have failed to communicate with the local rowing clubs or any other with interests in how the city traffic operates. Venice is ruled by the lobbies now. We all know how it’ll end when decisions are taken exclusively based on short term economic interests. This does not bode well for Venice.